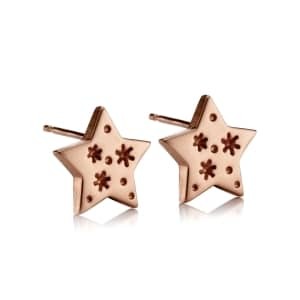 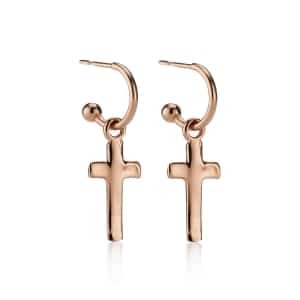 Shine like the star that you are with our Rose Gold Star Charm Hoop Earrings. 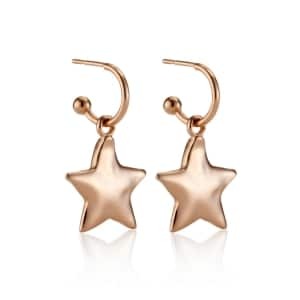 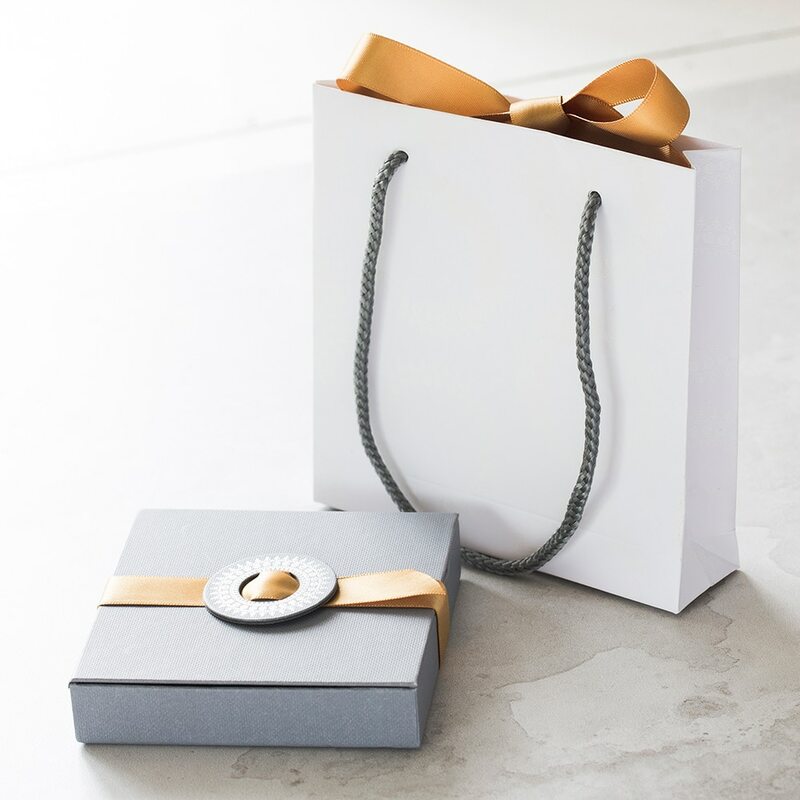 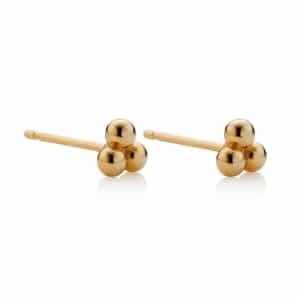 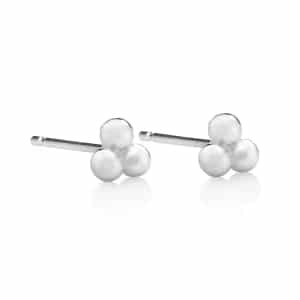 A gorgeous piece of jewellery for bridesmaids, Sweet 16 birthdays, and Christmas party celebrations, they are handmade in sterling silver and plated in 18ct rose gold, fitted with classic post and butterfly fasteners for pierced ears, and they are styled to complement every item in the wardrobe, from everyday casuals to glamorous party attire. 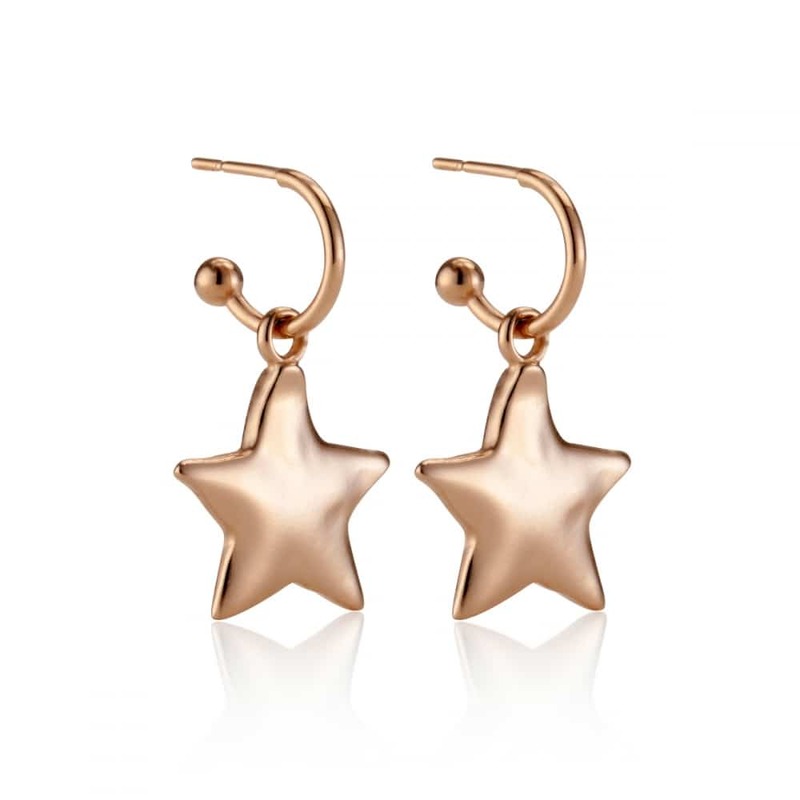 Featuring handcrafted stars with a unique pebble texture for added organic charm, these rose gold Charm Hoop Earrings are a stunning symbol of achievement, aspiration, and imagination, making them the perfect jewellery gift for day dreamers, high flyers, and ladies who are not afraid to sparkle.